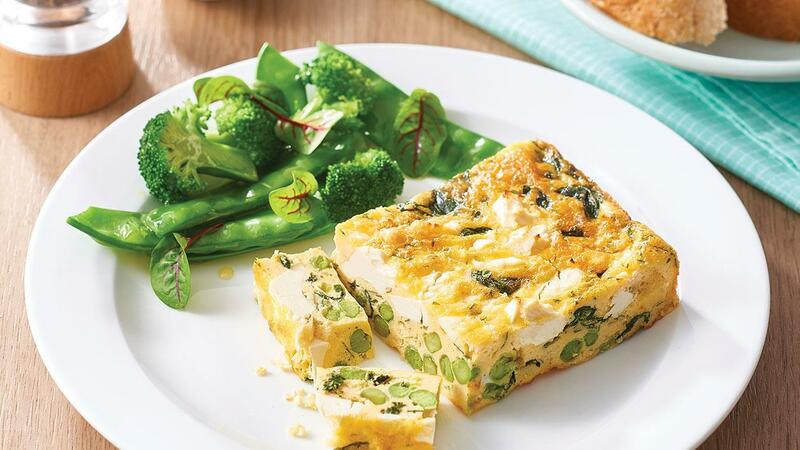 An easy to make and much loved dish, this frittata is extra creamy with the addition of KNORR Garde d’Or Hollandaise sauce. Heat oil in a large frying pan. Saute spinach and leek until softened, stir through peas. Whisk together eggs, KNORR Garde d'Or Hollandaise Sauce, flour and herbs. Pour the mixture into a large lined baking dish then scatter over feta. Bake at 175 degree Celsius for 40 minutes or until golden and set. Cool then slice.